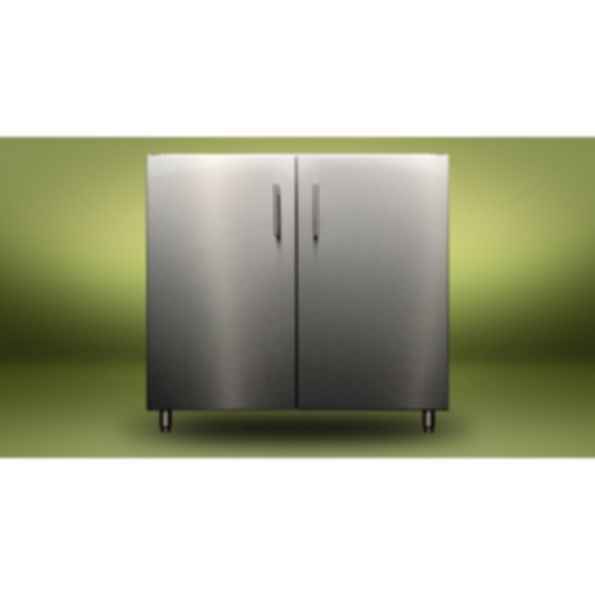 36 inch sink base cabinet with 2 doors - sink & faucet not included. Weather-tight design keeps contents clean and dry . Wind chains on doors . Stainless steel leveling legs for easy installation. Fully-assembled and ready to install. Includes three holes in bottom for water supply and drai.